Create true resonant tones with the use of this simple product. 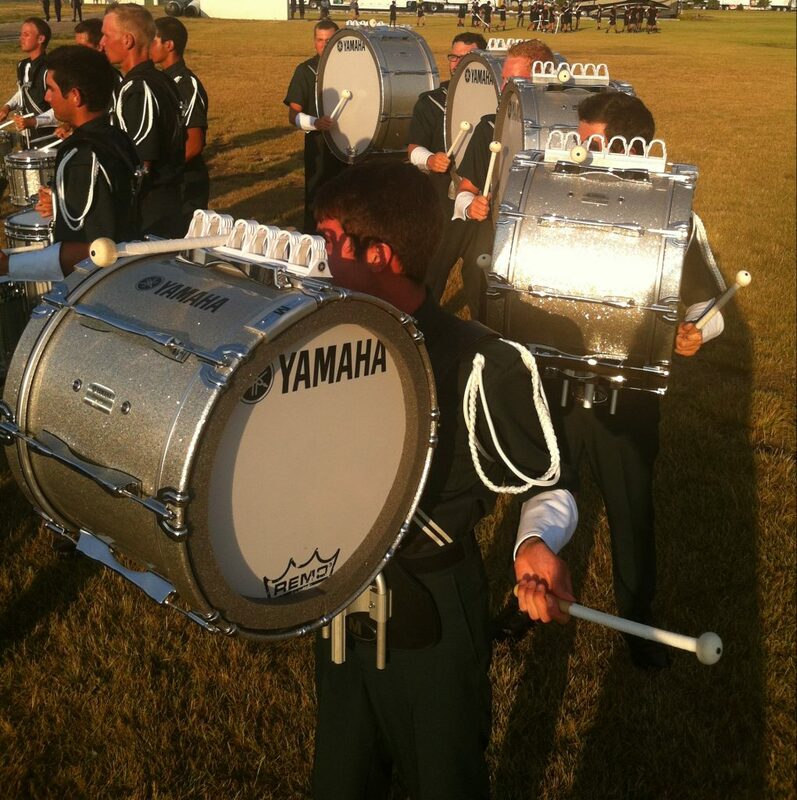 Since marching drums are used in both indoor and outdoor environments, a well-tuned bass drum is necessary for the maximum projection of sound. Yamaha Sound Impact Strips™ are designed to eliminate unwanted overtones and create the true resonant tones that are essential for contemporary bass drum sounds. 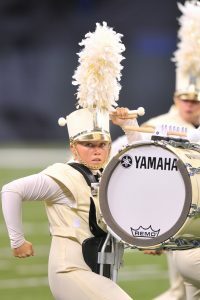 All Yamaha Marching Bass Drums — both the 8300 Field-Corps Series and the 6300 Power-Lite Series — come with REMO™ Smooth White Ambassador drum heads installed. These heads are recommended for marching bass drums as they produce the most desirable fundamental tone and are visually effective in drill patterns. Bass drums in a set are usually tuned a minor third to a perfect fifth apart to give a feeling of melodic movement between drums. Applying the recommended length of Yamaha Sound Impact Strips around the perimeter of the bass drum head will help you achieve the sound you desire. Yamaha Sound Impact Strips are packaged in 15′ rolls. These must be cut into various strip lengths depending on the size of the bass drum. Each strip should be centered from the bottom of the drum in an arced or horseshoe shape, one strip per drumhead, and applied to the drumhead next to the hoop. 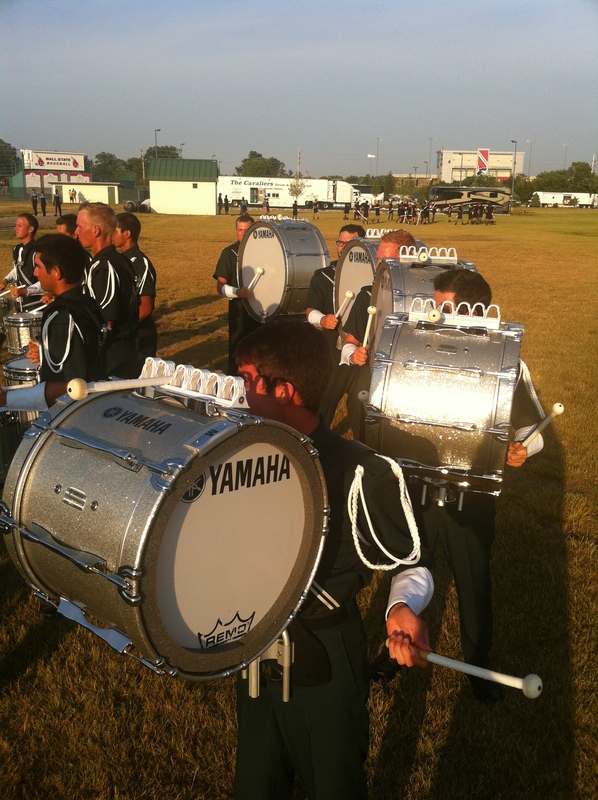 Carefully planned tuning and dampening are critical to the development of your percussion section and can help increase the musical effectiveness of the entire band and percussion ensemble. There are limitless combinations of pitches and tuning variations, with endless ways to muffle and dampen. The ones you choose will depend upon on your style and personal preference. Click here for more information about Yamaha Sound Impact Strips. 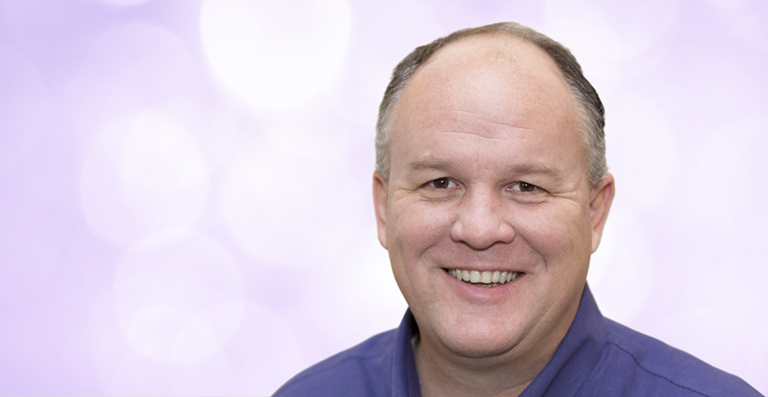 Editors Corner: What Puts The “Holiday” In Holiday Music?